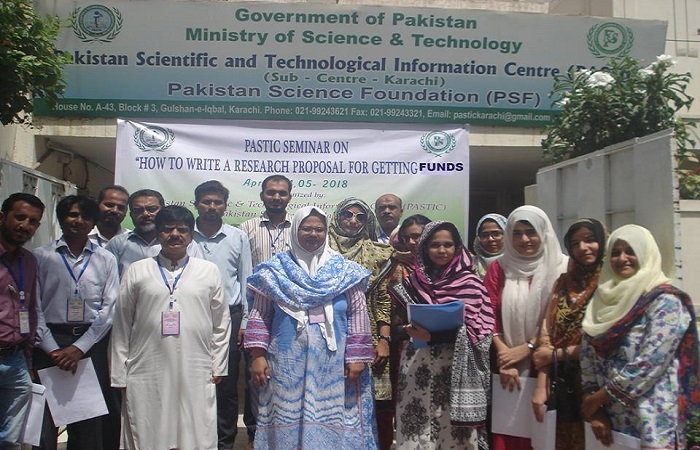 PASTIC Sub Centre Karachi organized Seminar on "How to Write a Research Proposal for Getting Funds"
PASTIC Sub Centre Karachi organized Seminar on "How to Write a Research Proposal for Getting Funds" on 04-05 April 2018 at PASTIC Sub Centre Karachi, participants from different universities (Centre of Excellence Marine Biology University of Karachi, IOBM, Hamdard University, Jinnah University for Women & Shaheed Benazeebhutto University Lyari, University of Karachi, Federal Urdu University, Dawood University of Engineering & Technology, Education Department, Sindh & Khatoon-e-Pakistan College) are attended the Seminar. 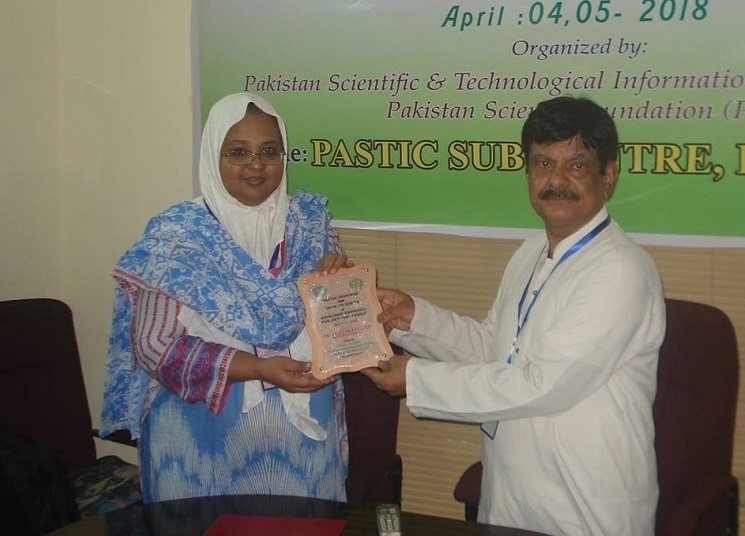 Resource Person Dr. Samiyah Tasleem Federal Urdu University of Arts , Science & Technology delivered the presentation during the seminar. 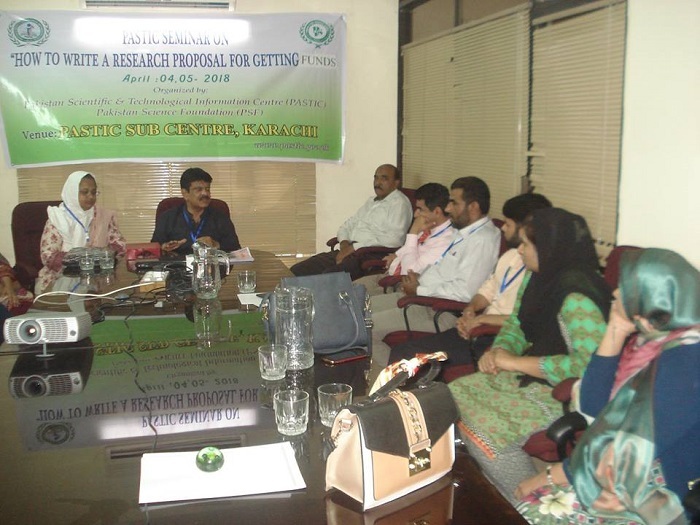 Audience of the Seminar during Seminar on How to Write a Research Proposal for Getting Funds on 04-05 April 2018 at PSCK. Dr. Samiyal Tasleem Resource person reciveing a Sheild from Deputy Director during Seminar on How to Write a Research Proposal for Getting Funds on 04-05 April 2018 at PSCK. Group picture of participants along with resource person during Seminar on How to Write a Research Proposal for Getting Funds on 04-05 April 2018 at PSCK.